Add a contemporary style to your home by introducing this beautiful Bowerbird Small Black Trinket Box. 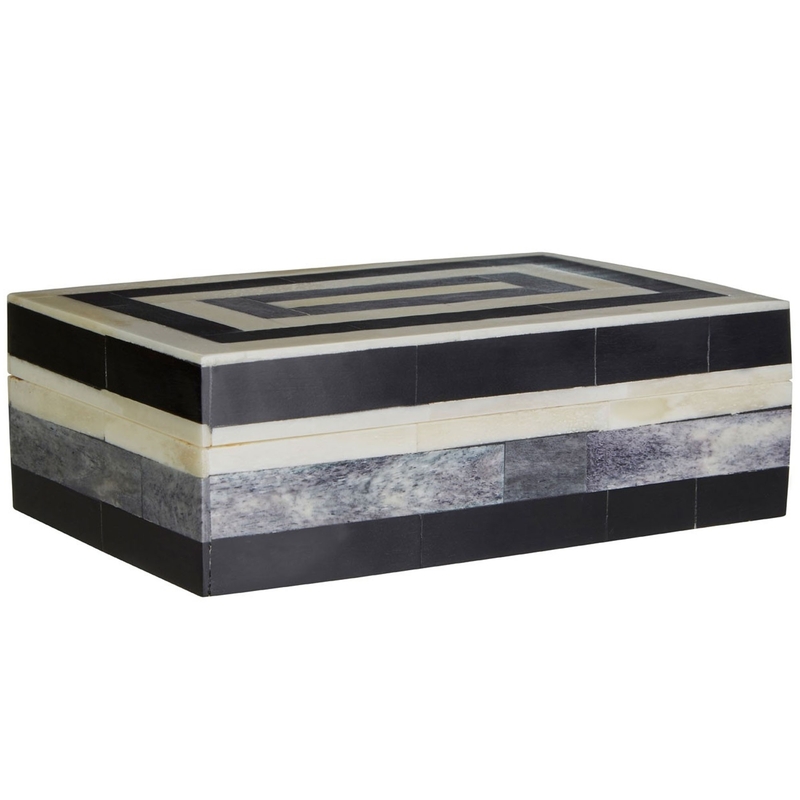 This trinket box has a very stylish design that takes multiple coloured stripes and combines them into a very eye-catching piece. The combination of the black, grey and white colours creates a very modern style.